The most prominent difference between antelopes and deer is that male deer have antlers which they shed and grow every year while antelopes have horns that are permanent. Another difference is that deer antlers are branched and antelope horns are not. 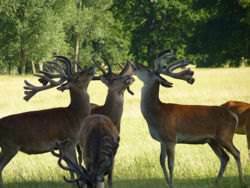 Antelopes belong to family Bovidae (as do sheep, goat and cattle), while deer belong to family Cervidae. Both are even-toed ungulates (hoofed animals) and ruminant mammals. 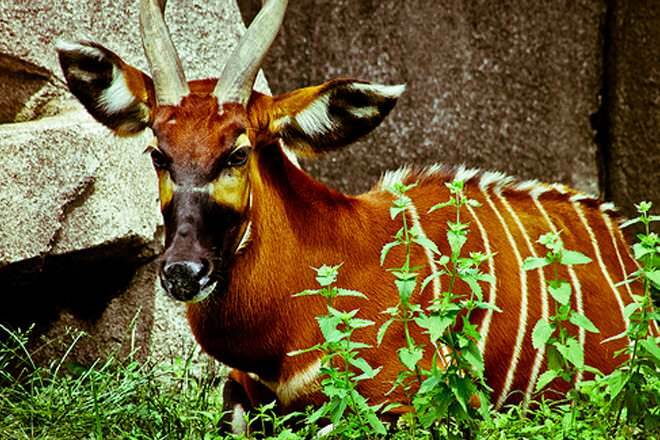 Antelopes are several even-toed ungulate species in Africa and Eurasia, comprising a miscellaneous group within the family Bovidae, encompassing those Old World species that are neither cattle, sheep, buffalo, bison, nor goats. Deer are the ruminant mammals forming the family Cervidae. 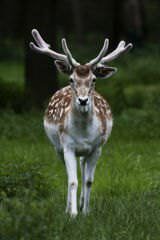 Species in the family include the white-tailed deer, mule deer (such as the black-tailed deer), elk, moose, red deer, reindeer (caribou), fallow deer, roe deer, pudú and chital. The horns of antelope are permanent. They consist of perennial living bone covered with strong, thick layers of dead horn tissue. The size and shape of antelope horns varies greatly. Some groups, especially dwarf antelopes, have spikes. Other groups have twisted, spiral, curved, lyrate, or long horns. Many species also have ridges in their horns. All male deer have antlers; only Chinese water deer have tusks. In some species a female will have a small stub. The only female deer with antlers are reindeer. 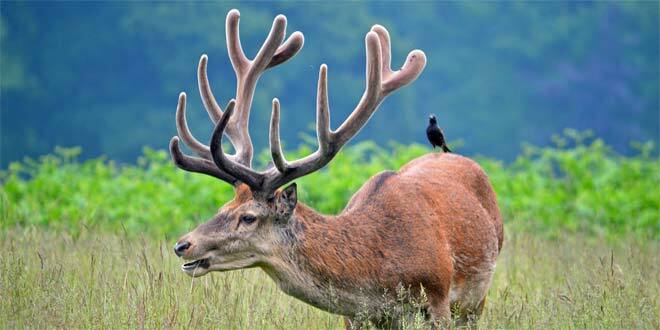 The antlers consist of vascular spongy tissue covered with a skin called velvet. The skin falls off after the antlers mature and become hard bone. The antlers themselves are shed every year after mating season. Antelopes are native to Africa and Eurasia. 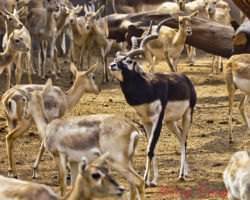 The Tibetan antelope, and Saiga Antelope are found in Russia and Central Asia; Arabian Oryx and Dorcas Gazelle in the Arabian Peninsula; and Nilgai, Chinkara, Blackbuck and Four-horned Antelope in India. They live in a wide range of habitats. Some species are sedentary while many, especially the plain species, undertake huge migrations. Deer are found in all continents except Antarctica and Australia. Africa has only one native species, the Red Deer. Deer live in a variety of habitats ranging from tundra to the tropical rainforest. There are plenty of wild deer in Australia!